This short and sweet episode (less than 4 minutes) shares a counter-intuitive way to engage more deeply. Turns out our best efforts to be more polished may actually be costing us new clients. 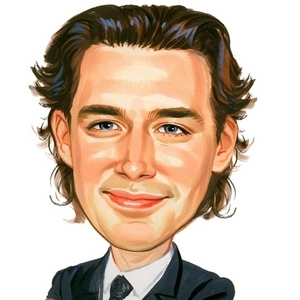 See https://TobinSlaven.com/scale for more information about how we are creating more conversations, and with the right people. In this episode of Stop Marketing Now - I recorded a short piece of background on conversational copy for our paid coaching group. And I am sharing that background with the podcast audience today. What is conversational copy, and why does it matter? Let's dig in. In this episode, we talk about the difference between your "offering" and your "offer" - and how one will lead to new clients paying attention while the other leads to more frustration (being ignored). Special edition of the Stop Marketing Now podcast as I was sharing this little "morning math" exercise with my Masterclass. It might interest you to know how much reach you are actually getting with your email newsletters. In this episode, we talk about hijacking the latest news about controversial figure Alex Jones - but we are not talking politics. We are talking about what to do when the gatekeepers lock you from the audience you've built on their platforms. How big is your audience really? It's not the number on the screen that you THINK you have... what is the real test of audience size (and value)? It's the 1st of the month and I am back with the Stop Marketing Now podcast... after a month-long hiatus. Is your inbox getting slammed with GDPR notices? What does all this mean? Let's break down the implications of GDPR in 10 minutes or less. [Step 4 of 5] Simple Steps To Increase The Value Of Your List & Subscribers. Stop Marketing Now... and do this instead. What is the "this" that I am referring to - that's the topic of today's cast. Let's have a conversation about it. In this episode of Stop Marketing Now, we talk about how Givers-Get, and what happens when you give first and give regularly, to create a balance of trust with your audience. Remember that the grass is greener where you water it, so top marketing and start a conversation instead. In this final part of the 5-part series, we talk about the launch of the upcoming (May 2018) List Building Bootcamp... a 10 Day Challenge (free) for folks who want to build their list, build deep and meaningful relationships, and monetize those connections to the tune of $1 per subscriber per month. What is it that I actually do? I didn't have a good answer to that question for a long time, and it showed. My business wasn't progressing the way I wanted it to. But I have a very specific answer now... and learning to find that answer has put things on a whole new trajectory. [Part 3 of 5] Answering questions about list building & monetization... what happens if you don't have a list? Or what if you don't have a product or service to sell yet? Turns out you can still get results with conversational list building. In this episode of the Stop Marketing Now podcast, I share the story of two clients (Scott and Stefani) who are Instagram Influencers who struggled to sell their coaching program - until we made two slight shifts in how they presented their offer... which resulted in a five-figure launch. This is the power of list building, monetization, and most importantly, convening a conversation with your audience. [Part 1 of 5] They say the money is in the list... right? [Part 1 of 5] Have you ever heard the phrase, “the money is in the list?” 🤔🤔 👉 A buck gets you ten, you have… It is a common tenet in digital marketing circles. And it is usually matched with motivational stories about big list owners (the “Pros”) who push a button (hit send 👨‍💻) and it produces thousands of dollars flowing into their accounts. Sounds too good to be true, right? Have you ever “witnessed” this kind of “your email list, like an ATM” experience before? Have you “lived” it? 🤷‍♂️ I have. In fact, I’ve now done it multiple times with and for clients… and it kind of shakes up my world each time - like shaking up a snow globe. It totally changed how I looked at business and marketing. All of of sudden I could see new possibilities. More reliable and predictable results. Sustainable. Scalable. And it becomes fun again, like playing a video game. Except, the rewards for hitting new levels… is increased income, more impact and more influence with your audience. When I shared my presentation at Social Media Breakfast a few days ago, one thing I forgot to add was the invitation to the email mini-course (free) called the List Building Bootcamp that I am working on. It will be a 10 day, 10 minutes a day challenge, and help you put all the essential, and foundational pieces in place to grow your audience. Drop me a note at tobin@tobinslaven.com if you would like more information. 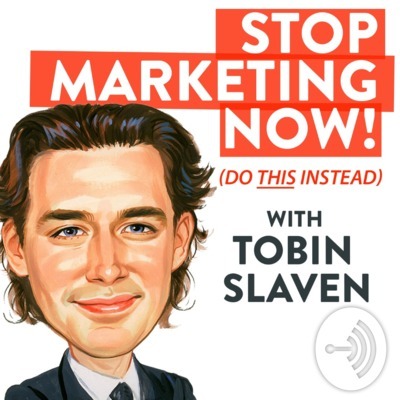 On this episode of the Stop Marketing Now Podcast (and do this instead) with Tobin Slaven, we talk about why your marketing shouldn't stop just because they become a customer. In fact, there are 3 really good reasons to keep building the relationship. Can you guess what they are? Join me on the #StopMarketingNow - Do This Instead podcast with Tobin Slaven as we talk about "conversational list building" - what it is and why it matters to your business. You have to hear this quick story about TrickAJournalist.com and how a "bad marketing honeypot" became a brilliant marketing move for CRM software provider HighRise. In this latest episode of the Stop Marketing Now podcast with Tobin Slaven, I talk about how they often say, the "money is in the list" but they are not telling you about these other unfair advantages.